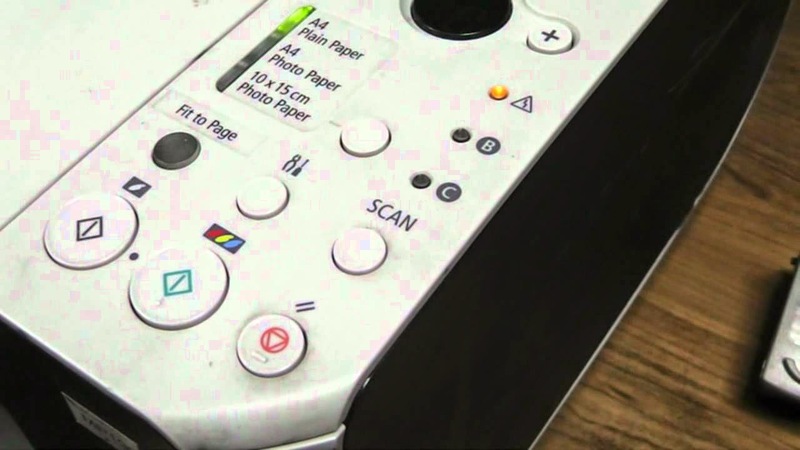 Follow the instructions given in this post to remove the 1401 Error in the Canon MP230 printer. 1401 error message appears on the Canon MP230 printer when the ink cartridges have a problem. This error appears because of the ink cartridges which are not well connected or the cartridges connector are dirty. The printer will have a flashing light as shown in the image below, this is a sign of an error appearing. Before starting the procedure, please clean the ink cartridge connectors and the printer connectors. Read our publication to learn more about how to clean these connectors cleaning the ink cartridges. Another solution is to change the ink cartridges. If the error persists, check if the printer is getting the amount of electricity needed or if the power cord or the power outlet does not have any issues. You can also make sure the ink cartridge is not empty, or the error appears because the ink cartridge is too hot and it is generating the error. To refill the ink cartridge please read the following post. filling the ink cartridge canon 210 and filling the ink cartridge canon 211. Please contact us by leaving a comment below if you have any question.